I'm a huge fan of Skratch Exercise Hydration Mix! It's my favorite hydration drink, and I use it for running, volleyball, hiking, and general workouts. 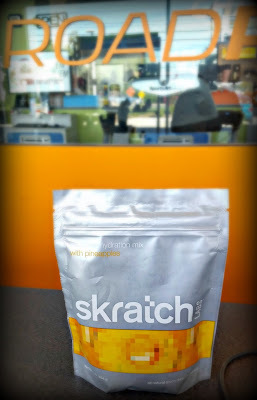 The first time I tried Skratch was when I won a bag of their Lemons + Limes flavor at an event hosted by a local running store. When I tried it out, I realized it was exactly what I was looking for in a hydration beverage! It didn't give me any stomach problems, the flavor was nice and light, and the packaging was easy for a klutz like me! I also really appreciate that the flavor isn't super strong. When I'm running, I really hate it when a flavor is overwhelming. For some reason, working up a sweat seems to make my taste buds extra sensitive, and sweet things just seem extra sweet. Skratch flavors are a lot lighter, so it doesn't taste like you're drinking plain water, but it also doesn't taste like you're biting into a sugared lemon either! They also use real fruit -- and you can see the fruit in the powder -- so that makes things taste natural! 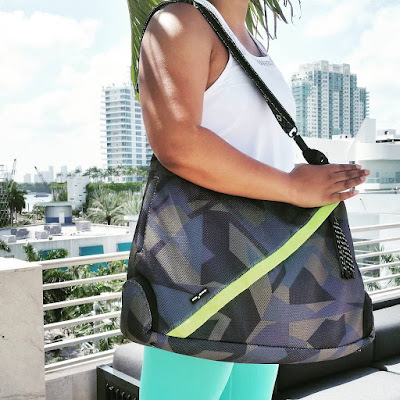 I recently purchased a package of the Skratch Exercise Hydration Mix, and I'm totally digging it! The flavor is very light, but I know I'm getting the good stuff! I buy my Skratch at Road Runner Sports, but they also sell it at the REIs in my area. If you want to pick some up at a store near you, check out their store locator. If they don't have it in stores near you, don't worry! You can also shop online! 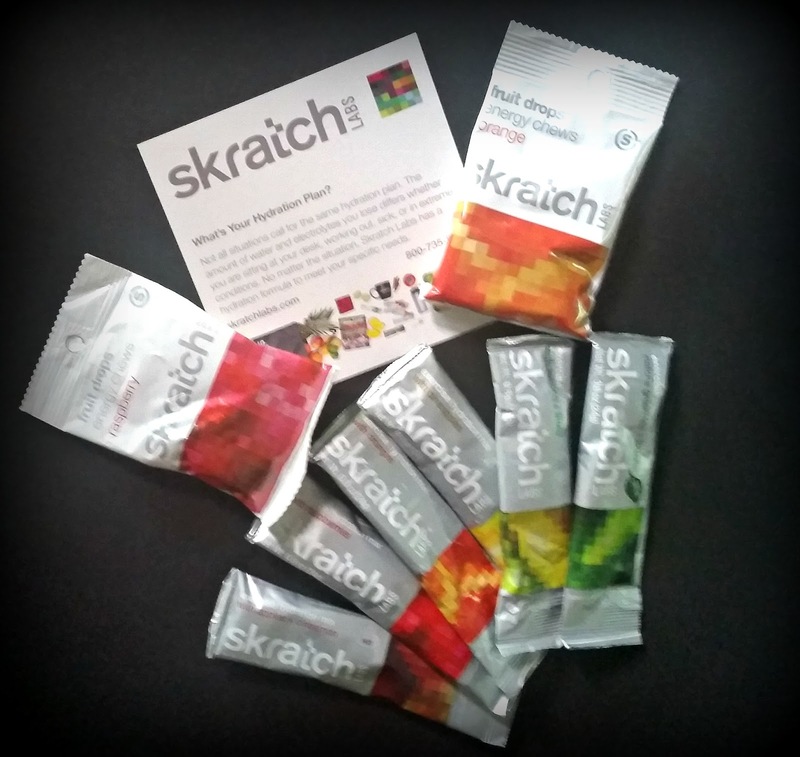 Want to win your own sampler of Skratch hydration products and fruit chews? It's not too late to enter my #AwesomeInAugust giveaway! Make sure you're following Skratch on Instagram - as well as all of the other brands - and make sure you tag your photos with #AwesomeInAugust. Good luck! I didn't know Vega carried hydration products! I've never heard of Skratch before! Sounds like it could be a good hydrator! It's really good! 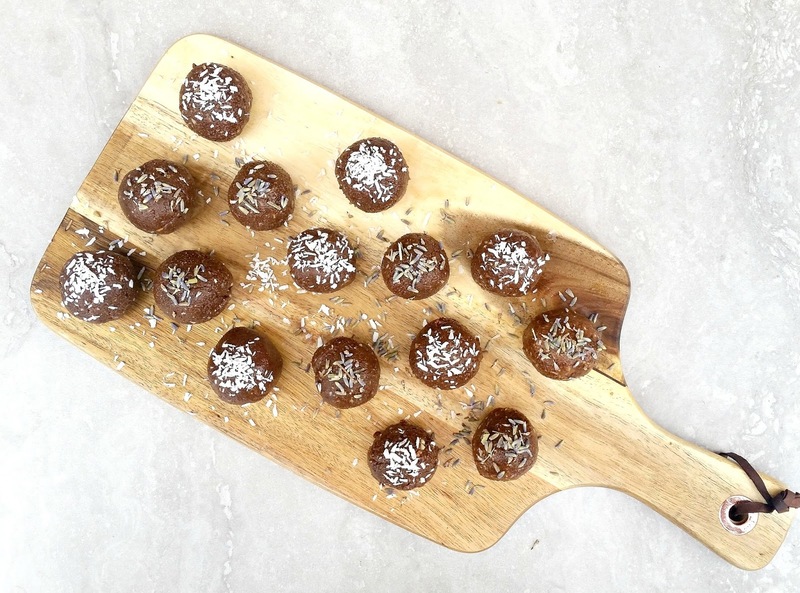 You can buy them buy the serving at certain running stores, if you just want to try it out! Great review. I have some of this sitting in my cabinet now, I'm going to use it today, you've inspired me. Thanks! Which flavor(s) do you have? I haven't tried skratch before. But I agree with you I don't like strong flavours and I don't like artificial sweeteners. I've tried Skratch before, but it's not super easy to find in Canada :( I do like it. Oh no! Maybe they ship to Canada? A friend of mine had recommended their gummys to me! I totally forgot about this brand oil now! I haven't tried the gummies yet, but they were kind enough to give me some to give away with the other samples! I've never heard of skratch hydration! I usually just add some electrolytes to water, and use gels for my carb replacement. I do like that they don't use artificial sweeteners though. Too much of that everywhere! So many brands use artificial sweeteners! It's such a bummer! Had no idea Arbonne made anything besides makeup and skincare! Have heard good things about the brand. I've heard lots of great stuff about Skratch. I'm in a good place with my hydration, but it's good to have options should things change. So glad you found something you love! Thanks! Once I find something that works (which sometimes seems to take forever -- looking at you, yoga leggings), I'm a loyal customer! I think Skratch must be similar to my fuel of choice, Tailwind! They also use sugar. I have big time issues with fuel and it's nice to know that there are a few out there that address those of us with sensitivities! So true! It's a bummer that there aren't more! I have heard of Skratch but have not seen it (locally or at expo's). My tummy cannot tolerate gels of any kind anymore, which is a bummer because gels are so convenient. I have a difficult time drinking too much...because then I have to always be in search of a potty stop. I'm gonna look up the info on the gummies...thanks for the tip!! Gels are definitely convenient! Skratch is nice because it's a powder I can throw in my water bottle before I hit the track/court/trail. I have an issue with drinking too much before I run! Fortunately, I've determined where bathrooms are located at various parks/trails in my area! I didn't even realize Nuun had a sweetener until recently. D'uh. I'll keep an eye out for Sktratch and give it a try. My BRF swears by Skratch! I need to check it out-sounds like a good hydration source. I've never heard of Skratch before. Thanks for the introduction. I'll have to look into it. I agree that I don't like too sugary of drinks while running either! That's why I can't use gatorade. it ends up making me even more thirsty. I'll have to check out Skratch!